is a key part of our Commercial Diver Program. Commercial diving is a competitive industry, and DIT trains its divers in the necessary skills to compete. 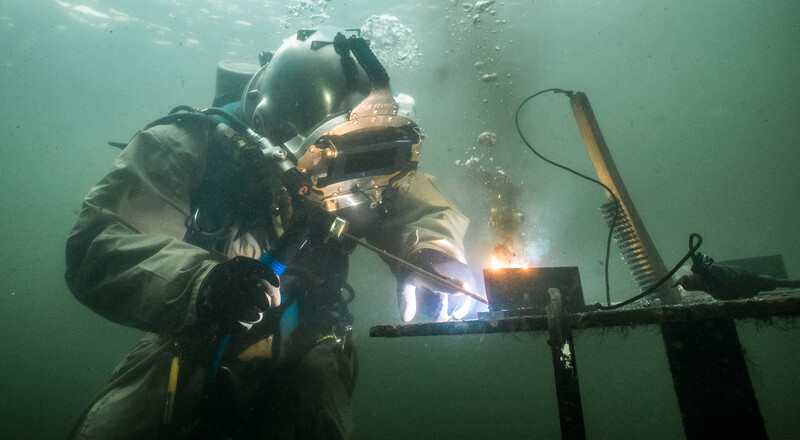 DIT offers you the underwater welding training you’ll need as well as the specialized programs necessary to work in the underwater construction industry. include welding, underwater welding, underwater cutting and burning and more. We are one of the only dive schools in the U.S. to be internationally certified by the DCBC. These certifications allow our graduates to dive all over the world. DIT training is conducted in open water, giving students real-world experience that can’t be duplicated in pools, tanks or quarries. Learn more about commercial diving courses with DIT and find out how the Post-9/11 GI Bill® can help with tuition costs. Divers Institute of Technology has been training divers for commercial diving careers since 1968 and is VA Approved.